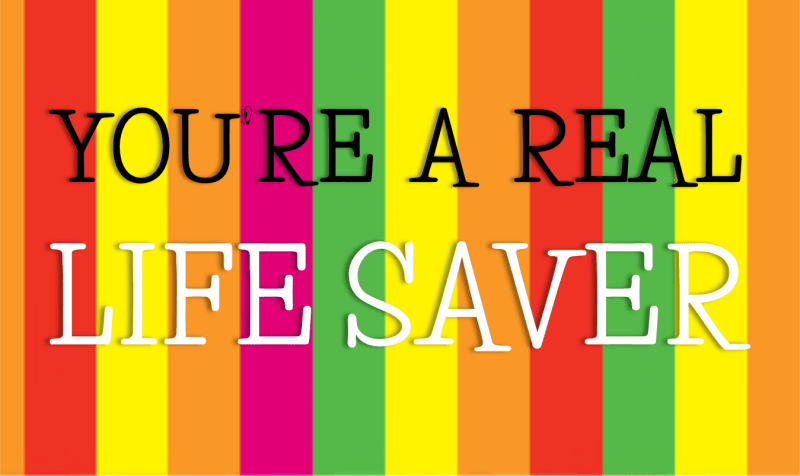 Number 8 on our Top Ten Relay Game Countdown brings us, You’re A Real Life Saver. This is a great relay to play if you’re need something fun that is easy to get ready. All you’ll need to do is have each team line up in a single file line. Once they are lined up, give each person a toothpick (have some extras handy in case they break them). Next, place some distribute a pack of Life Savers to the first person in line for each team. Once teams are in place with Life Savers in hand, explain that the participants must now pass the Life Savers while using only toothpicks… that are in their mouth. Each person will need to hold the toothpick in their mouth and carefully pass it from one person to the next, going all the way to the end of the line. The last person in line will then place the Life Saver in the cup. If the Life Saver drops, they must start over. 1. First team to finish getting one Life Saver from the front to the back. For this version, you will only have one Life Saver in play at a time. Depending on the coordination and skill of your group, this can take one to five minutes. It also depends on the size of your teams, so don’t make the teams too large. Anywhere from 7-10 will work. If you have too many people, the participants in the back will grow bored fairly quickly. 2. The team with the most Life Savers at the end of a designated time. Set a time limit of 5-10 minutes and see how many Life Savers each team can get from beginning to end. In this version of the game, you can have multiple Life Savers in play at a time, but no one can have more than one Life Saver on their toothpick at a time. 3. The team that reaches a certain amount of Life Savers. Don’t set the number higher than 5 and don’t be afraid to lower it midstream if teams are struggling. Once someone hits your target number, declare a winner. 1. This is a great game to play Guys vs. Girls or Leaders vs. Students. Just remember to have fun! 2. Put on some upbeat music in the background to help create the right atmosphere. 3. Award one of those white & red life preservers to the winning team. Give it a name beforehand and say they are playing for the “Great Life Saver” or whatever you want to call it. 4. Separate Life Saver colors to represent each team. It makes it a little easier to keep track in case anything gets mixed up.